Apply Now!Accept Card Payments Today! Tired of the Cash Only Acceptance? Increase your sales, security, and convenience by applying now with our proven card processing solution. We offer rapid approvals and have very little requirements. Call us at (855) 869-9032 Our company openly accepts both Medical Marijuana and Recreational Marijuana related Merchants. We have very little requirements and will have you up and running in no time! Increase your sales, security, and convenience by using our payment processing solution. It is important to be able to accept multiple forms of payment at your Marijuana Dispensary. As your business grows, you need to be able to accept a wide variety of payment types from consumers; the ability to pay with a debit/credit card will offer convenience to your clients as well as increase your bottom line revenue stream. Working with a trusted Payment Processor is the best way to expand your payment acceptance options for your clients, and in turn, increase sales. With our true “down to the penny” Payment Processing Solution, you will be able to start processing card payments at your business location. Why a Credit Card Payment Processor is Your Next Step? Small business and start-up business owners don’t always have a good system in place to handle different types of payments. This is why many of these businesses deal with customers on a cash-only basis. The card processing equipment works best through an Ethernet connection; however, does have the capability of connecting to a dedicated, analog phone line. If you need to make a change to your sales floor, you can easily move the equipment to any convenient location. Working with a trust worthy credit/debit card payment processor will give you more options and help you keep better track of your funds as you expand your customer base. By using our true credit/debit solution, your company will be able to view real-time reports of transactions, making it easier for you to track and analyze sales. This is particularly useful for medical marijuana businesses that need to have accurate accountability of all transactions. Another major benefit of card payment processing is safety. Electronic payment processing delivers the funds straight to your bank account; having abundant amounts of cash on site increases the concern of theft or robbery. The “bad guys” target “cash only” dispensaries….this is a fact! 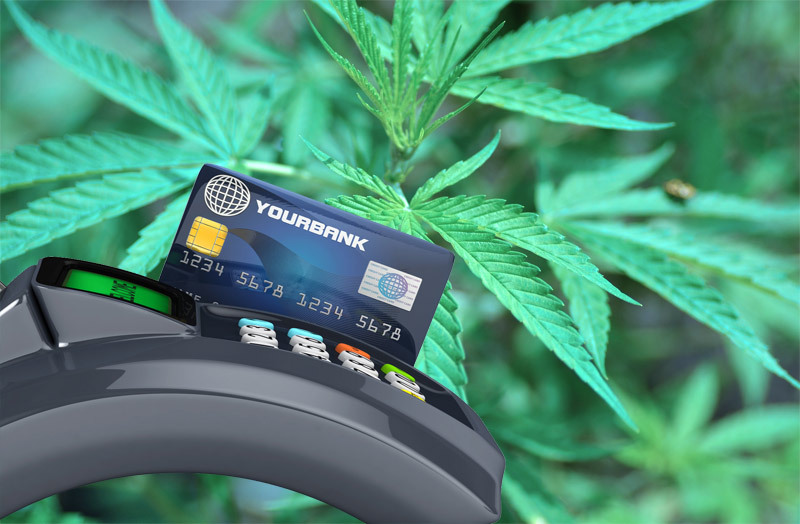 Our payment processing solution was designed to help Medical & Recreational Marijuana Merchant’s process electronic credit/debit card transactions with the use of the pin number associated with the card being used. The system itself is very simple and easy to understand. In fact, you have probably used a similar system in your personal life. 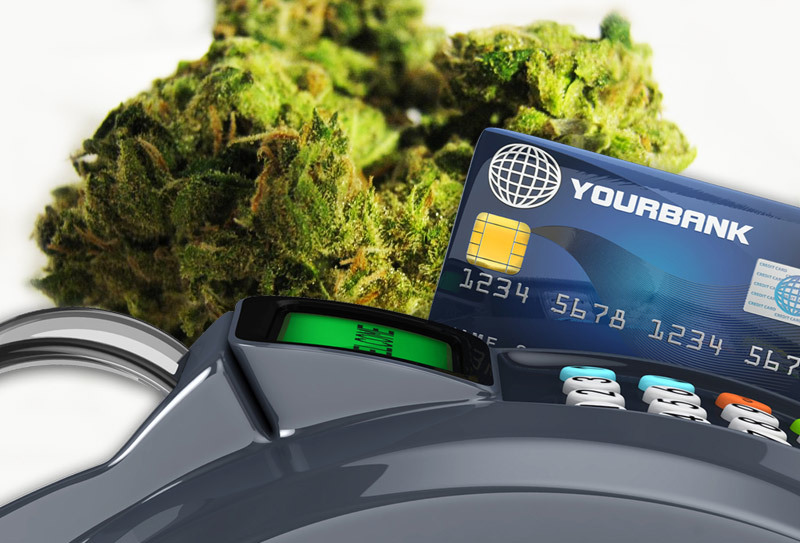 When a customer makes a purchase in your marijuana dispensary, you will enter in the exact amount to bill your customer; the customer will then swipe their card, follow the on-screen prompts, and enter their PIN number just as if they were conducting any other type of pin-based debit transaction. The purchase is processed instantly and approved or declined in real-time. All transactions are processed through the highest level of security and encryption and the deposits will fund into your bank account within 48 hours – it’s that simple. That’s Right… ZERO Cost Card Processing For All Dispensaries! Our system is designed to help medical marijuana businesses of all sizes thrive. We keep our fees to a minimum so that our solution is affordable and flexible. Our service fee is $10 per month and a fixed rate of 2.75% and $.25 per transaction. This is more cost effective than other traditional credit card processing solutions. The cost for the EMV chip ready terminal and Pin Pad is $399; however, Free Placement is available for qualified merchants. The terminal and pin pad is a plug and play process solution and does not require any complicated installation. Compared to the thousands of dollars that other merchants spend on payment processing & equipment; this system is a very cost effective payment processing solution for marijuana dispensaries. Not everyone carries cash and those that do usually carry very little. As card payment technology progresses; more people are relying on debit cards and credit cards as a primary form of payment. Many people find cash to be more difficult to handle and harder to keep track of whereas a card is simple to handle and will track their expenditures with ease. By getting an electronic payment processing terminal; your medical or recreational marijuana business will offer consumers a safe and reliable way to pay with a form they are comfortable with. This makes them feel better about the transaction and it makes them more likely to spend more while they are there or when they come back. From a merchant’s point of view, having a credit card processing solution is a great way to increase revenue. You will attract new consumers who prefer to pay by card and give people an option to spend more money. When people intend to use cash, they usually withdraw exact amounts from the ATM and do not make return trips for additional withdrawals. When using a debit or credit card, people don’t feel as inhibited as they do with cash. This allows them to make a subconscious decision to allow themselves to spend more money when shopping, often leading to add-on purchasing opportunities. It is believed that adding just one additional form of payment acceptance can increase sales as much as 30%. Unlike cash or a Cashless ATM, with the true credit/debit payment processing solution, you do not need to worry about giving change, maintaining a petty cash drawer, or providing additional product to compensate the difference to your customers. Every transaction is to the penny so you can charge your MMJ customers the exact amount you want without any hassles. Our payment system allows you to bill each transaction up to the daily limit the card will allow. Simply enter the amount in when you process the card; you and your clients will be happy that there is no fumbling around with change or rounding up in order to pay. The first step in getting our true penny pin-debit payment processing system in your marijuana dispensary store is to contact us directly. We have an easy application and quick approval process. 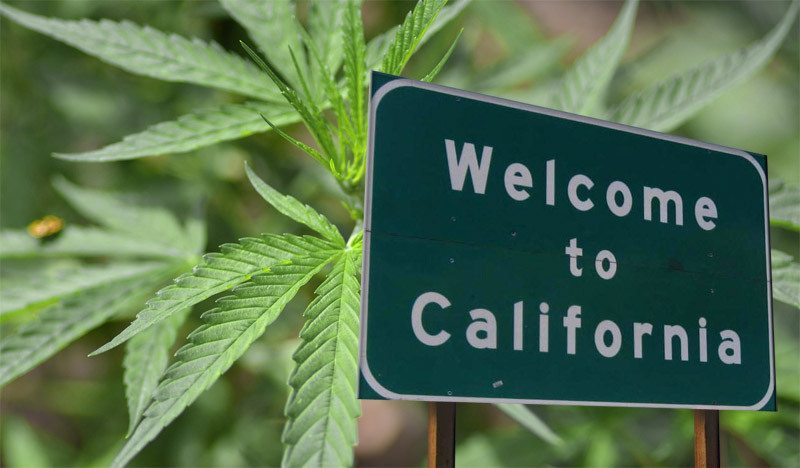 During the application process, you will have direct contact to a marijuana industry expert who will answer any questions you have and assist you through the quick and painless application process. After approval, set-up and installation is very simple; however, we are always happy to help and have customer service and installation experts ready to assist you with all troubleshooting issues. Contact us if you have any questions; our attentive staff is always available to help you with anything you need. 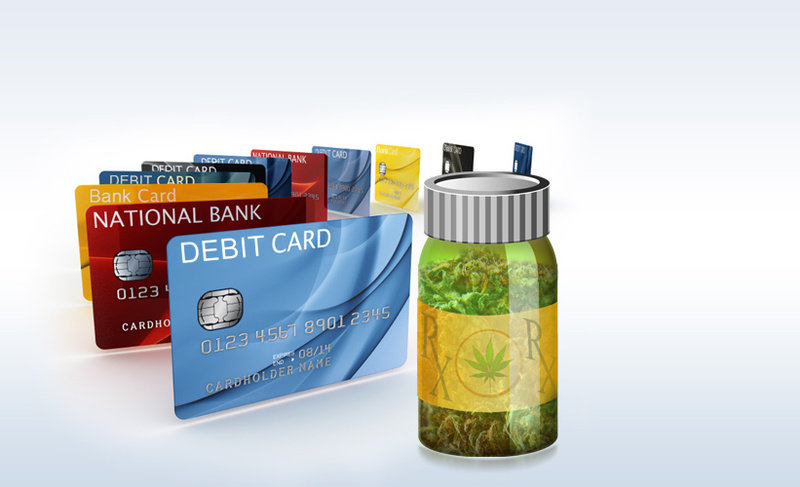 To get started with card payment processing for your medical marijuana or recreational shop, contact us today. 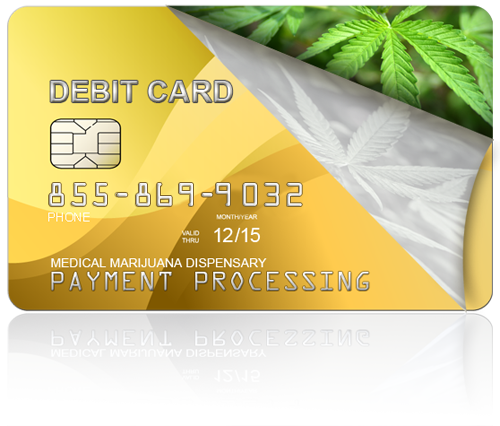 * Marijuana Credit Card Processor offers free equipment to qualified merchants. If the Merchant does not qualify under our Free Equipment Placement Plan, a refundable security deposit may be required and refunded to the merchant once processing history is established. 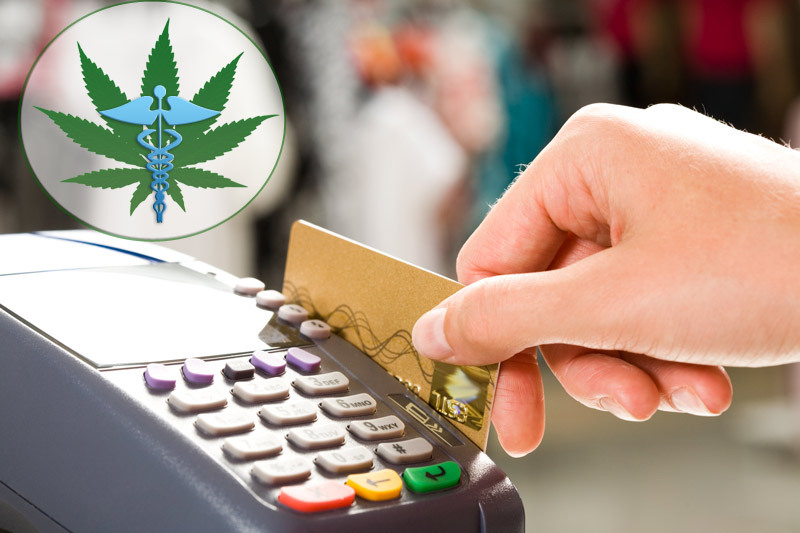 Need Payment Processing for your Medical Marijuana dispensary? Tired of the Cash Only acceptance? What you need is a true pin debit solution that allows you to process all debit cards. Over 92% of all transactions processed are actually debit cards. This is a real processing solution for medical marijuana businesses that does not discriminate against the industry. Increase your sales, security, and convenience by applying now for our proven solution. We offer rapid approvals and have very little requirements. Don't wait; call us today!